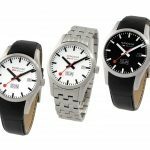 The Mondaine Classic was the first Official Swiss Railways Watch and has been a key feature in the collection since 1986. 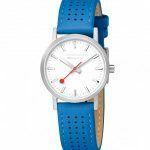 Crafted with true design purity and vision, this archetypal Mondaine model has been subtly updated for spring 2017. 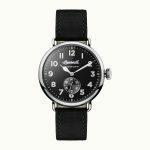 Available in a stainless steel case, with an IP black plated finish, the evolution of the Mondaine Classic is paired with a modern canvas strap with a soft comfortable leather lining. For style that has stood the test of time, the new Mondaine Classic, is an easy choice for all. 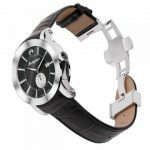 It features a Ronda swiss made movement, hard mineral glass, leather band and stainless steel brushed case. Available in two sizes; 30mm and 40mm. 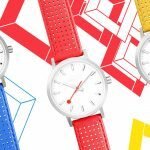 Three colors leather band: blue, red and yellow. 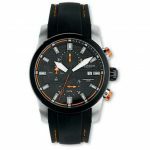 With a simple elegance, the Trenton Radiolite I03201, has a large clean black dial with luminous markings. And thanks to its flat case, it tucks inside any shirt sleeve with ease. The Quartz powered movement ensures for perfect accuracy. 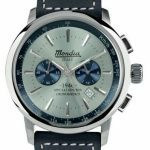 Mondia Italy has released its new chronograph to complete the Vintage 1946 collection. This is inspired by the atmosphere of those years when first appeared the Mondia advertisements after the war. 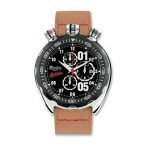 This new chrono fits a 42mm body in stainless steel, mineral glass,tachimetric scale, leather or steel bracelet and a leather box made like a cigar pouch. 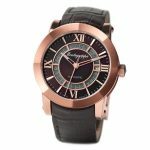 Available also with a pvd rose gold finish !! 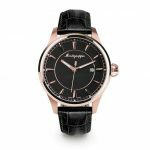 A natural extension to the iconic Nero Uno line, Montegrappa collaborated with the finest Swiss watchmakers to create a line of timepieces which respects the brand’s core elements, whilw acknowledging the role of the modern watch. 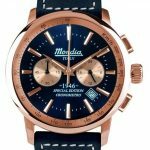 Four versions are available on the battery swiss movement Ronda: 2 steel with silver or black face (€ 790,00) and PVD rose gold with silver or black face (€ 1050,00). The limited edition automatic one fits an ETA swiss movement 2824 and a brushed rose gold PVD (€ 2090,00) Only 999 pieces. 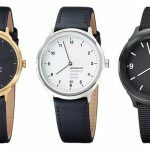 After about 30 years since the launch of the famous clock of the Swiss Railways SBB, Mondaine introduces a new collection of watches called HELVETICA, whose roots date back to 1957. Helvetica is the Latin word of the adverb “Switzerland”, it expresses many of the values ​​and qualities of the Republic Alpina: neutrality, discretion, efficiency and tradition. 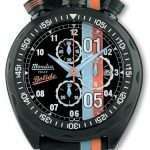 Values ​​that reflect perfectly the brand Mondaine. The character writing “Helvetica” does not draw attention to himself is in fact the perfect font to communicate an ‘information or write the name of a famous brand. Helvetica is used in thousands of logos, writings, signs, T-shirts, clothes and much more … as to be the subject of documentaries and books. Helvetica is one of the most famous and important creations of Switzerland. 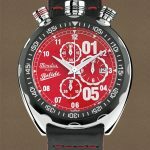 The Bernheim brothers, owners of Mondaine, have long sought a new style that was easily recognizable as the watches of Swiss railways SBB, now an icon in the world. The result was the discovery of Helvetica, a design that is the quintessence of the value of the soul and the Swiss. reproduced on the top and bottom of the case dell’orologio.Per follow the same characteristics of the Helvetica font, line No.1 is made of three different measures inspired by three thicknesses of Helvetica: Light, Regular and Bold (light, regular and bold) Measure Light declines in diameters 26mm and 38mm, the 33mm and 40mm diameters Regular and Bold has a diameter of 43mm. The measures and Regular Light are also available with satin gold plated case. 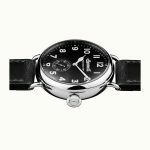 Mondaine watch, Classic collection, true to the original design of the watch of the Swiss Railways. Quartz movement, time only, stainless steel satin or polished, mineral glass, the characteristic red second hand. 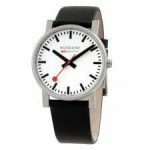 Leather strap in black, red and white. Available in sizes 30 mm and 36 mm. 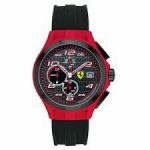 Watch Scuderia Ferrari Collection Race Day, quartz movement, chronograph. 44mm case in stainless steel with black PVD coating. Bezel, crown and pushers in steel PVD black. 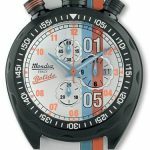 Silicone strap with colorful details with standard buckle Ferrari. 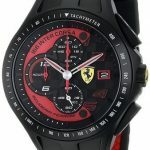 Watch Scuderia Ferrari Collection pitcrew, quartz movement, only time, cash matte finish, bezel and steel crown. 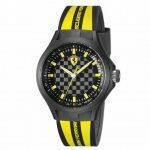 Colored silicone strap with buckle standard Ferrari, checkered black dial. 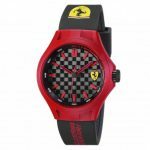 Available in sizes 44 and 38 mm in the colors red and yellow. 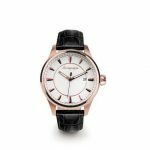 The clarity and simplicity of the three handed watch,powered by a swiss made Ronda quartz movement the Fortuna watch turns time into an elegant statement. Case diameter 42mm.Prices from the steel/leather band at € 355,00, case PVD rose gold plated € 395,00 to steel bracelet € 435,00. Water resistance: 10 ATM. – Strap: – diameter: 45 mm. – Thickness: 13 mm. 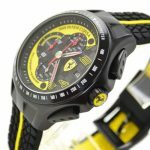 – Weight: 98.00 g.
Available in 4 colors: yellow, orange, green and blue, and the package includes an extra leather strap. New collection Mondia Bolide. Box leather. 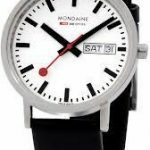 Mondaine watch, Retro collection. Quartz movement. 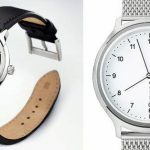 The stainless steel polished or satin has a slightly rounded shape that echoes the line of the leather strap. 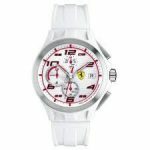 Also available with bracelet acciaio.Ha the domed sapphire crystal and dial in white or black. Available in sizes 28 and 40 mm.